Abstract: In this talk I will discuss the operational and societal aspects of autonomous mobility-on-demand (AMoD) systems, a rapidly developing mode of transportation wherein mobility is provided on demand by robotic, self-driving vehicles. Specifically, I will discuss AMoD systems along three dimensions: (1) modeling, namely mathematical frameworks capable of capturing the salient dynamic and stochastic features of customer demand, (2) control, that is coordination algorithms for the vehicles aimed at throughput maximization, and (3) societal, entailing system-level studies characterizing the interaction between AMoD and other infrastructures, such as the electric power and public transit networks. I will conclude the talk by presenting a number of directions for future research. 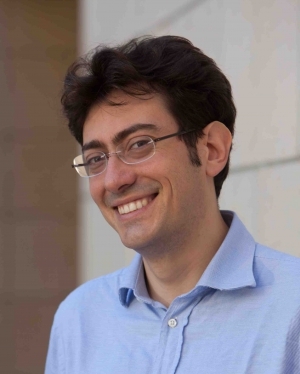 Biography: Dr. Marco Pavone is an Associate Professor of Aeronautics and Astronautics at Stanford University, where he is the Director of the Autonomous Systems Laboratory and Co-Director of the Center for Automotive Research at Stanford. Before joining Stanford, he was a Research Technologist within the Robotics Section at the NASA Jet Propulsion Laboratory. He received a Ph.D. degree in Aeronautics and Astronautics from the Massachusetts Institute of Technology in 2010. His main research interests are in the development of methodologies for the analysis, design, and control of autonomous systems, with an emphasis on self-driving cars, autonomous aerospace vehicles, and future mobility systems. He is a recipient of a number of awards, including a Presidential Early Career Award for Scientists and Engineers from President Barack Obama, an ONR YIP Award, an NSF CAREER Award, and a NASA Early Career Faculty Award. He was identified by the American Society for Engineering Education (ASEE) as one of America's 20 most highly promising investigators under the age of 40. His work has been recognized with best paper nominations or awards at the IEEE International Conference on Intelligent Transportation Systems, at the Field and Service Robotics Conference, at the Robotics: Science and Systems Conference, at the ROBOCOMM Conference, and at NASA symposia. He is currently serving as an Associate Editor for the IEEE Control Systems Magazine.